Didn't you love those paper mache pets?? Things have been a bit slow over here. Our three-year old caught some nasty bug and was running 105 fever for 5 very long, very stressful days. Thankfully, it broke at the 5 day mark (did you know that after 5 days of high fever they need to start testing for some really scary stuff!). So he's recovered now and back at school! And this mama is exhausted! So instead of being super creative today, I'm going to leave with some fabulous swag for your pets. 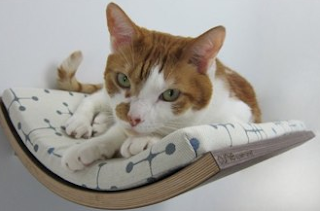 Here's a roundup of some great pet presents! I love these Paul Frank pet products from 26 bars and a Band! And a portion of the proceeds go towards various causes. 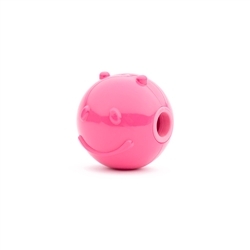 For example, buy an orange dog toy and 20% of the proceeds go to fighting diabetes. 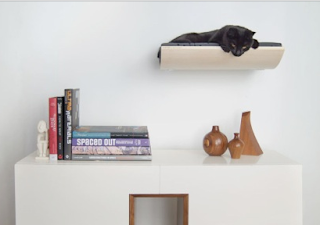 These wall mounted cats beds from Akemi Tanaka are to die for! So sleek and modern! 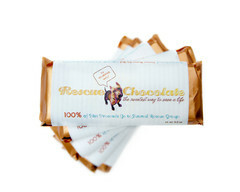 100% of the net profits from a Rescue Chocolate purchase are donated to animal rescue organizations. Chocolate and charity? You can't beat that! 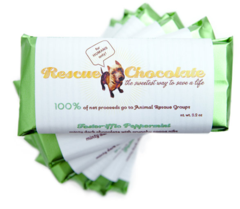 With flavors like Fosteriffic Peppermint and Pit Bull Peanut Butter, you can't go wrong! Happy Pet Shopping! And we;ll see you tomorrow with Devon from Miss Make with a treat that applies to both cat lovers and people who like to stay organized!